This is my latest tutorial and can be found under the header on my home page. "What is a Thermofax Screen and how do I use it"
Thermofax machines have been around for a long time. They made the "masters" for mimeograph machines. 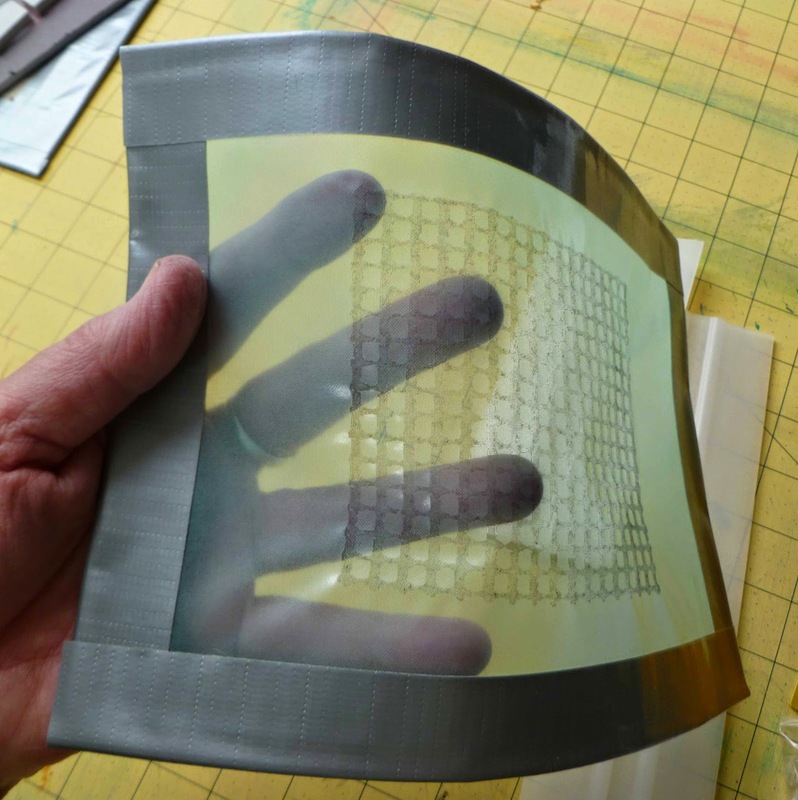 Basically a thermofax screen is a thin plastic like sheet. A pure black and white image, no greys, is fed into the thermofax machine with the plastic like screen on top of it. The image in black is burned into the screen. 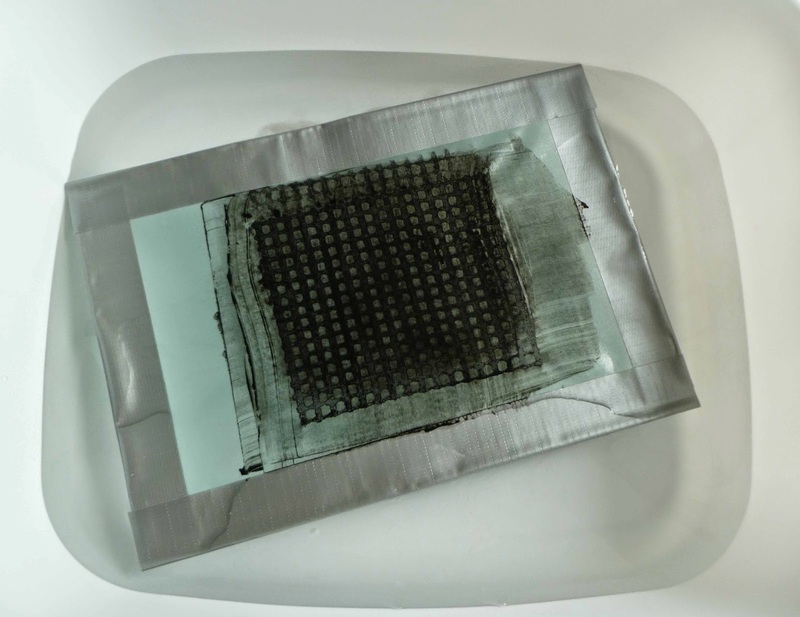 Liquids can permeate through the screen where the image has been burned. This is an image of skid-proof rug pad. You can learn more about preparing these images for thermofax screens in the tutorial "All about Thermofax Screens". 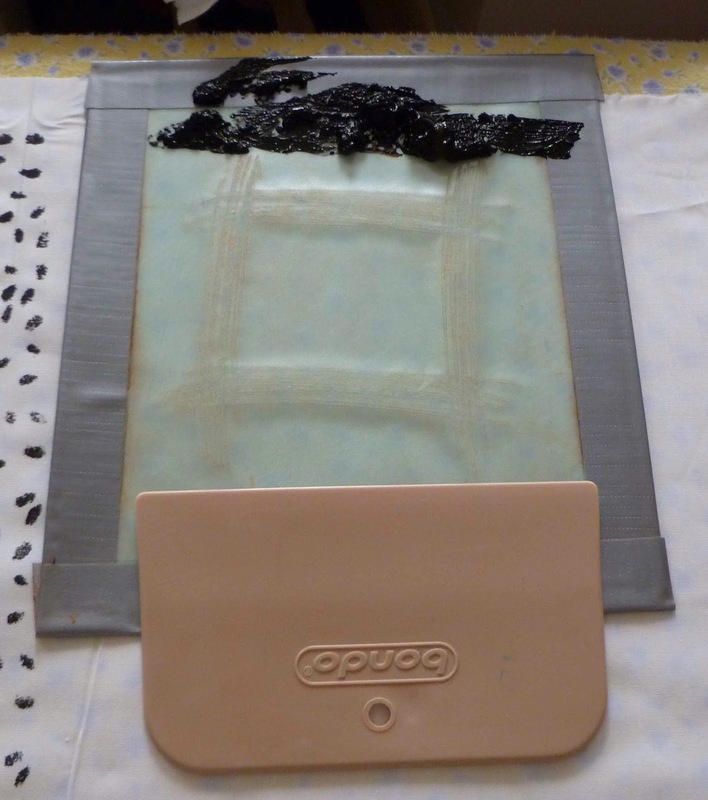 You can also learn how to "frame" new screens with water-proof tape in the same tutorial. 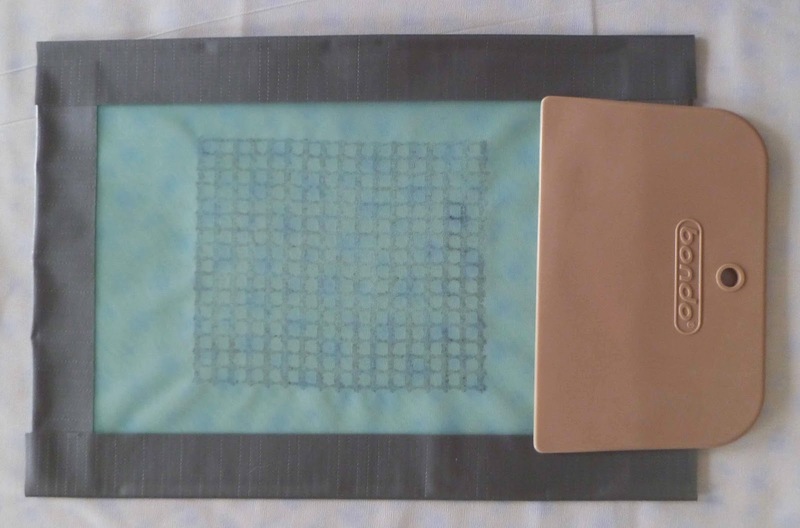 Thermofax screens can be used with thickened dyes, acrylic paint or fabric paint. The paint or dye can be squeegeed across the screen with plastic tools that won't cut or damage the screen. The most important criteria for choosing a tool is matching the width of the tool to the width of the screen. 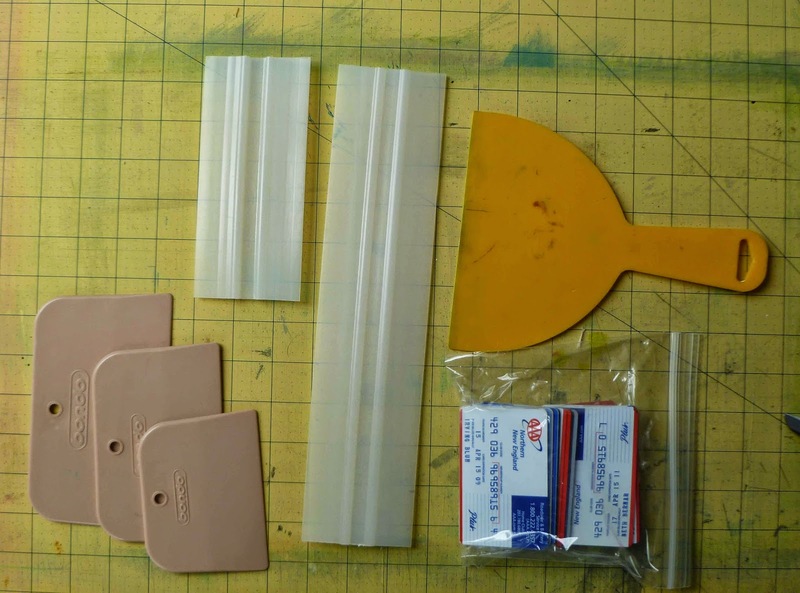 Above are 3 sizes of Bondo scrapers from an auto supply store (fabulous), stiff squeegees with thin plastic edges, a plastic putty knife and old credit cards (stiff plastic). I like pulling images on a slightly padded surface like a layer of felt. I cover that with a piece of cloth to protect the felt from any paint that might bleed through. I lay a piece of cloth down to receive the image. I place a bead of paint at the top of the screen. Then holding the tape at the top of the screen to stabilize it, I pull the squeegee across the screen at a 45 degrees angle. The angle is imperative. It is better to be closer to 90 degrees than 10. If the squeegee is too flat, the paint with spread under the screen and the image will look thick and blurry. You want a sharp image. Also print the image with ONE pull. Subsequent pulls will also make the image look thick and blurry. The best way to learn this is by practice. 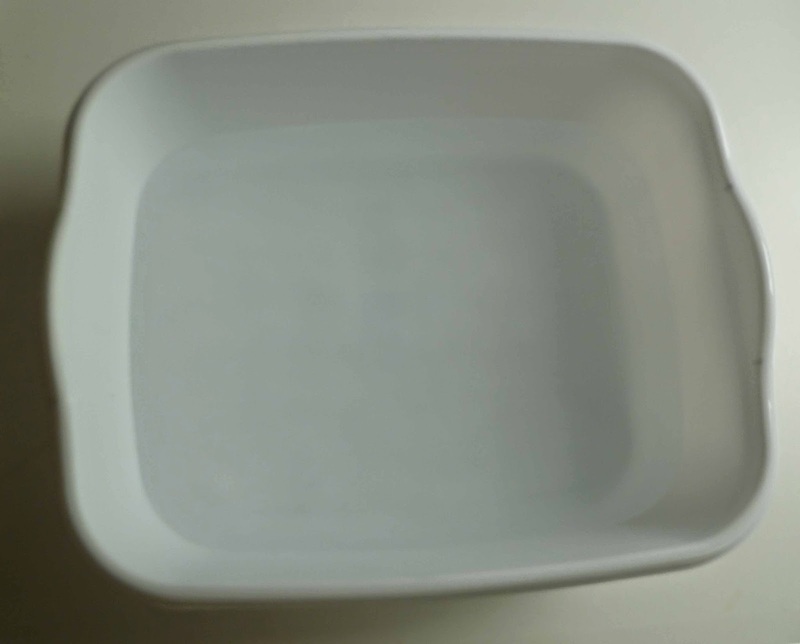 As soon as you are finished using a screen with fabric paint or acrylic paint, put it in a plastic basin with water in it. The only things that will hurt your screens are melting, cutting or letting paint dry in the void of the image. The paints or dye need to be able to permeate the image. 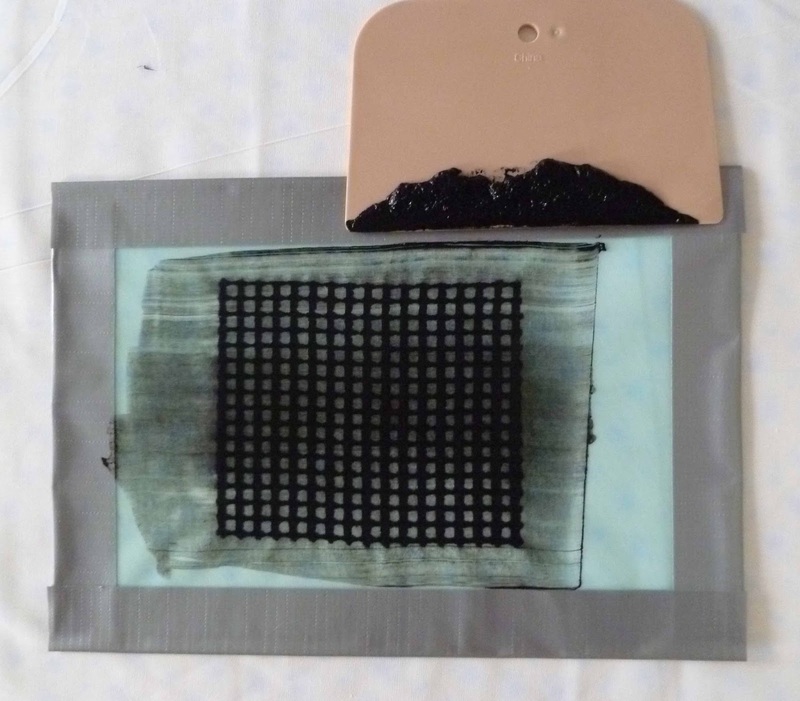 If you are using thickened dye, this does not apply because thickened dyes will wash off the screens even if dried. 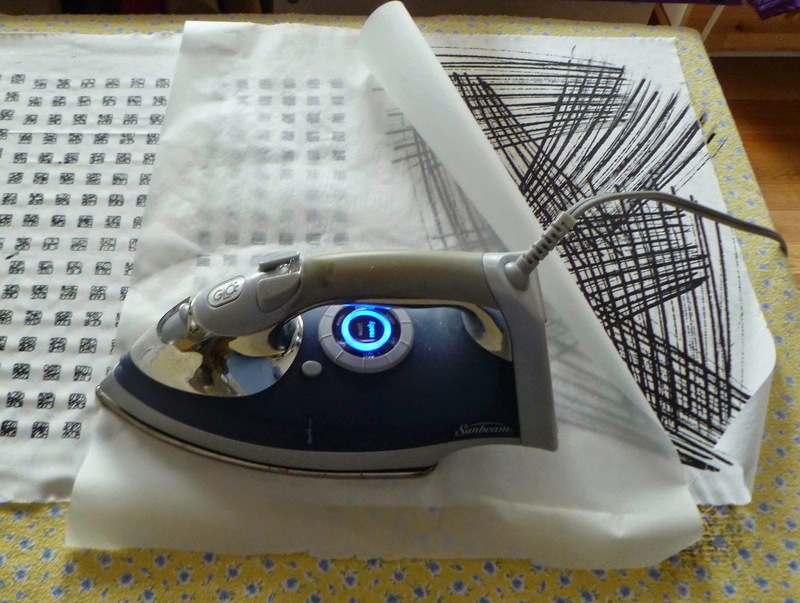 After the image in paint has dried, you can heat set the paint by covering it with parchment paper and ironing on the cotton setting. 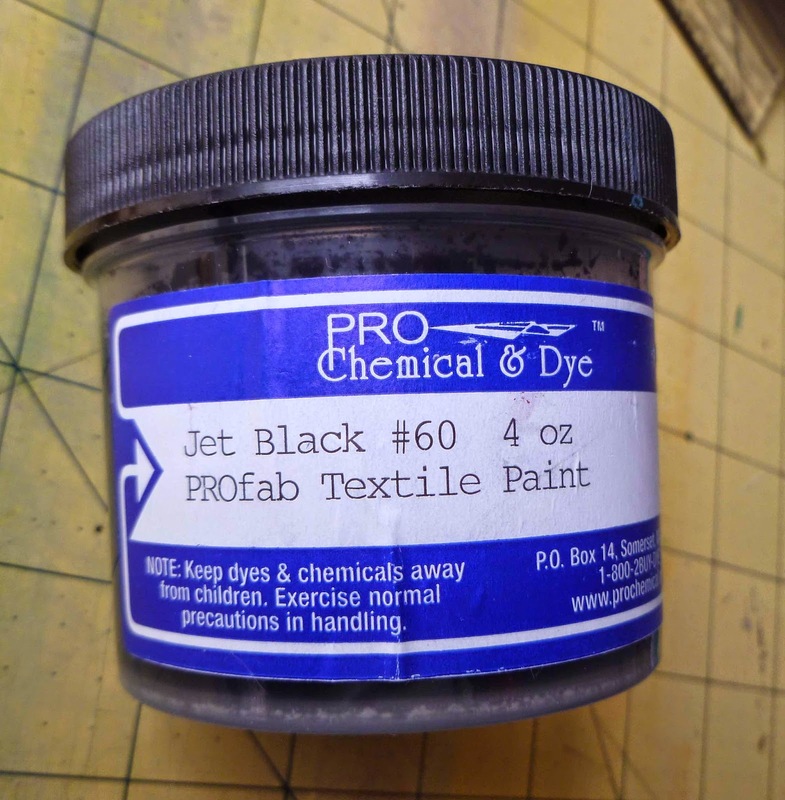 If you are using dyes, batch as you would any other dyeing project, do not iron. 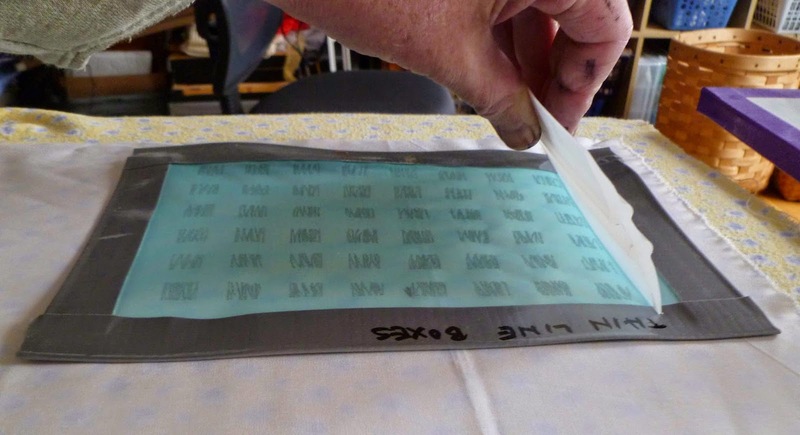 Why use a thermofax screen and not a stencil or stamp. The main reason for using a thermofax screen is that you can produce fine lines that are not possible with a stencil or stamp. 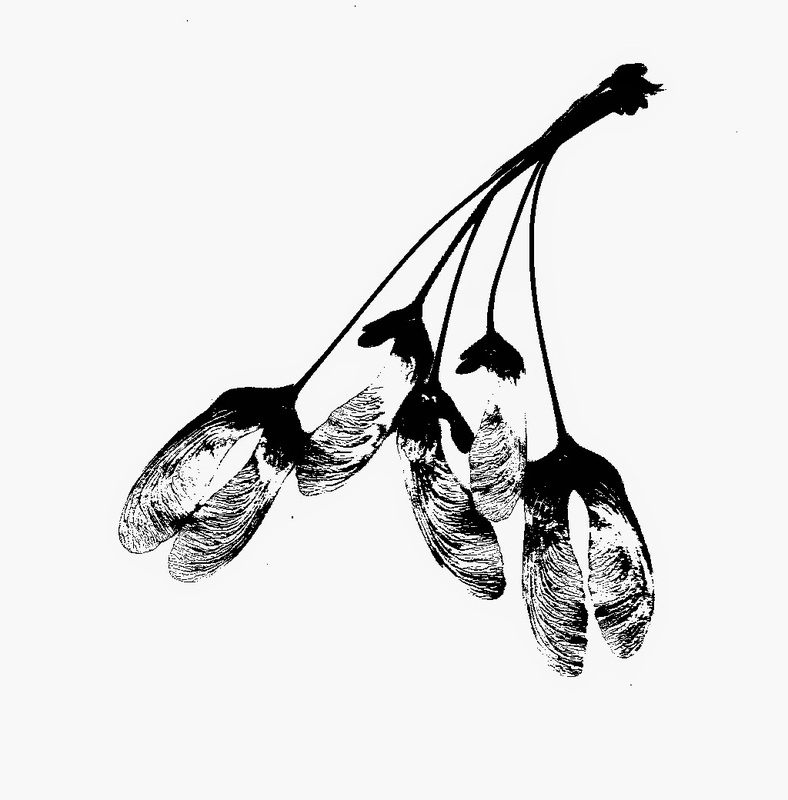 See the veining in the maple seeds below. That is the beauty of a thermofax screen. Great tutorial... Have you tried screening on Lutradur? I don't have any thermofax screens and was wondering if anyone has tried it. What great definition to those maple leaves. So I learned something here! I did not know you should only pull the scraper over once, but then I learned using thickened dyes... maybe there is a difference between dyes and paint or inks? At any rate, thanks for the refresher! Thank you for such a clear tutorial. Although I've known about Thermofax screens for a long time, I now understand that the benefit of using them is to get fine details. I love fine details. 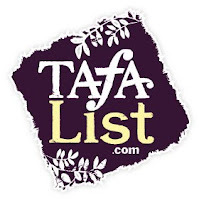 Well, here's another item for my list.